The Old Testament is replete with prophecies about the coming Messiah; the one, “…whose origins are from the distant past” (Micah 5:2). 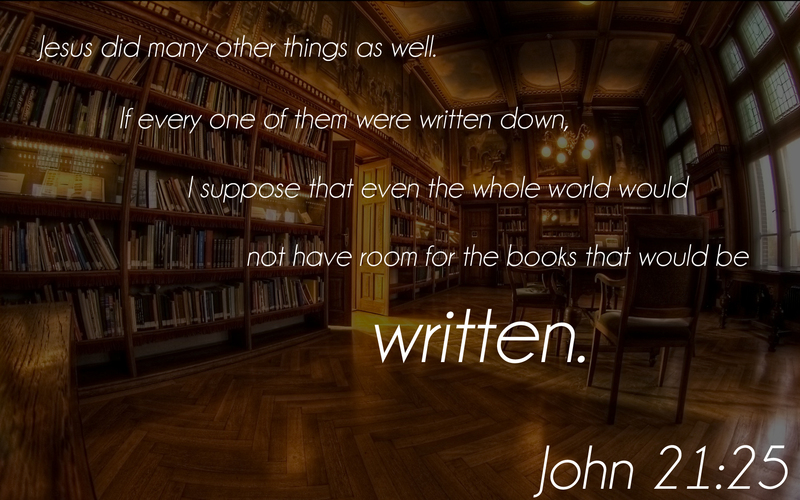 But did you know that the Hebrew Scriptures also contain direct quotes from Messiah himself, before he was even born? Such as: “The Spirit of the Sovereign Lord is upon me, for the Lord has anointed me to bring good news to the poor. He has sent me to comfort the brokenhearted and to proclaim that captives will be released and prisoners will be freed. He has sent me to tell those who mourn that the time of the Lord’s favor has come…” (Isaiah 61:1-2). Then, the New Testament Gospels of Matthew, Mark, Luke, and John are full of the marvelous miracles and tremendous teachings of Messiah Jesus. With all four gospels providing the life-changing, eternal-destiny altering account of his crucifixion, burial, and resurrection. Early in his ministry while preaching at one of the Jewish synagogues, Jesus quoted the passage from Isaiah identified above. It’s what Jesus himself had said long before he was the “child born to us, a son given to us … And he will be called: Wonderful Counselor, Mighty God, Everlasting Father, Prince of Peace” (Isaiah 9:6). Right after repeating his own Pre-Incarnate words as recorded in Isaiah 61, Jesus announced in no uncertain terms: “…The Scripture you’ve just heard has been fulfilled this very day!” (Luke 4:21). The implication and impact of his stirring words during that Shabbat service, in none other than his hometown of Nazareth, did not escape those who were listening. Do you remember their reaction? “When they heard this, the people in the synagogue were furious” (Luke 4:28). In fact, they tried to kill him, but it was not yet the time for Jesus to fulfill another prophecy in Isaiah (Chapter 53) as the suffering servant to take away the sins of his people and of the entire world. Thus, Jesus mysteriously “passed right through the crowd and went on his way” (Verse 30). Although plentiful, not all the wonderful things that Messiah Jesus said and did were recorded in the gospels. Said the Apostle John: “The disciples saw Jesus do many other miraculous signs in addition to the ones recorded in this book. But these are written so that you may continue to believe that Jesus is the Messiah, the Son of God, and that by believing in him you will have life by the power of his name” (John 20:30-31). “…The Lamb of God who takes away the sin of the world! He is the one I was talking about when I said, ‘A man is coming after me who is far greater than I am, for he existed long before me’” (John 1:29-30). John’s disciples said to Jesus: “John the Baptist sent us to ask, ‘Are you the Messiah we’ve been expecting, or should we keep looking for someone else?’” (Luke 7:20). Jesus didn’t reprimand the two disciples directly or John the Baptist indirectly for their doubt. Instead, he tenderly told them: “…Go back to John and tell him what you have seen and heard—the blind see, the lame walk, the lepers are cured, the deaf hear, the dead are raised to life, and the Good News is being preached to the poor” (Luke 7:22). Which was a summary fulfillment of the passage quoted earlier (Isaiah 61:1-2) and other Messianic prophecies of the Old Testament. Next, Jesus asks those in the onlooking crowd who or what they had expected John the Baptist to be, concluding with, “Were you looking for a prophet? Yes, and he is more than a prophet. John is the man to whom the Scriptures refer when they say, ‘Look, I am sending my messenger ahead of you, and he will prepare your way before you.’” (Luke 7:26-27, quoting Malachi 3:1). Then Jesus makes this astonishing announcement to the crowd: “I tell you, of all who have ever lived, none is greater than John. Yet even the least person in the Kingdom of God is greater than he is!” (Luke 7:28). Scripture is unequivocal: Jesus is the Son of God and God the Son—2nd Person of the Triune God. He is the Living Word of God (John 1:1). Thus, when Messiah Jesus spoke, he spoke the very words of God, his Father. But the Bible also declares that, “…God is not one to show partiality” (Acts 10:34, NASB). The Lord doesn’t favor any person over another, certainly not in terms of their intrinsic worth. His desire is that all should be saved, no matter how great or small (by human standards) they are. 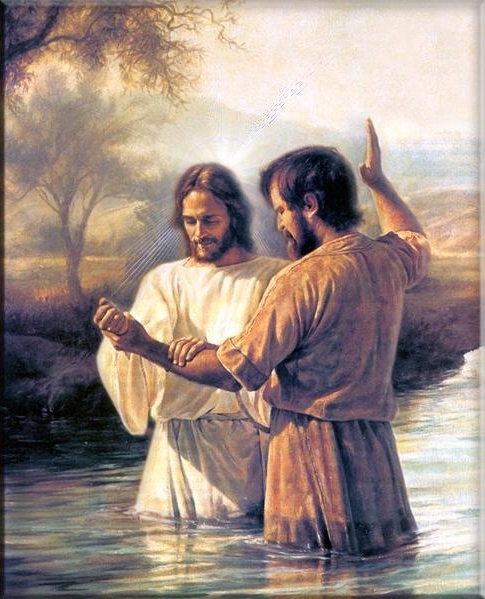 Why, then, would Jesus say that no one who had ever lived was greater than John the Baptist? However, Jesus didn’t say John the Baptist was the greatest of all. Only that no one else was greater. Still, it appears that Jesus is making a value comparison. Is Jesus doing that? Yes, he is, but not based on the world’s criteria used to gauge people, i.e. how we measure greatness and weakness, success and failure, good and bad…. Although, there will be different levels of rewards for believers, each believer has the same awesome and equal privilege of simply being in the Kingdom of God forever with our Lord. Personally, I’ve said many times (to the Lord in prayer), “You are my reward.” I believe that with my whole heart, no matter the size of any reward he might graciously give me in heaven. I’m sure many believers feel the same way. Jesus used these comparative terms (greater … the least person) between an Old Testament Saint and all New Testament Saints so we would/could comprehend the dramatic difference and immense impact that his arrival as Messiah would have on the world, when he put into effect the New Covenant promised by God through Jeremiah (Chapter 31). The distinction that Jesus made between John the Baptist and the least person in the Kingdom of God was exclusively based on and revolved around Jesus, himself. Jesus is saying that, because he is (as John the Baptist had publicly proclaimed) “the Lamb of God, who takes away the sin of the world,” all those who believe in him would exceed beneficially even the greatest of Old Testament saints, not the least of whom was John the Baptist. None of the Old Testament prophets—even the most notable such as Moses, King David, Elijah, and Daniel—was given the entire scope of God’s majestic plan for humanity. By contrast, ALL New Testament saints right down to this present day have the noticeable advantage of knowing at least the essentials (as God knew from the beginning) of the end from the beginning. In the Bible, we have the complete Word of God from beginning to end, including what will (soon) take place as recorded in the powerful book of Revelation. That is the context of and reason for the comparison that Jesus is making between one of the greatest (if not the greatest) Old Testament prophets—John the Baptist—and even the least person in the Kingdom of God. Which is the Kingdom of Heaven on earth in the hearts of every born-again believer until Messiah Jesus returns to establish the physical Kingdom of God on earth. Thus, all who believe and receive Messiah Jesus as their personal Savior would participate in and be immediate bona fide beneficiaries of ALL Old Testament prophecies (promises) concerning the Messiah. Essentially, there is only one precise parallel between Old & New Testament believers. However, it is one that constitutes the very foundation of redemption, which both Testaments express as “getting right with God.” The only foundation of such righteousness is found in one Word: FAITH. Which is simply trusting God for who he is (Creator of all things) and what he says he will do if we believe in him and His Son—the Messiah Savior. This matter of right standing with God is essential to every person who has ever lived. It’s imperative because our Creator makes it crystal clear throughout Scripture that there is no other way to inherit eternal life than to acknowledge and accept God’s solution to the very reason why we are not right with God in the first place. The one thing that everyone inherits the moment we’re born is a death sentence. Physical death because we’re born sinners … transmitted from our original parents, Adam and Eve. Spiritual death because our spirits are born dead (separated from God) by that same innate sinful nature. The only remedy is a spiritual rebirth (our spirits made alive) and eternal life in a completely transformed body given to all believers at the Rapture. The Apostle Paul summarizes this only universal way of being made right with God (redemption) by going all the way back to Abraham, long before the Law was given to Moses. “Abraham was, humanly speaking, the founder of our Jewish nation. What did he discover about being made right with God? If his good deeds had made him acceptable to God, he would have had something to boast about. But that was not God’s way. For the Scriptures tell us, ‘Abraham believed God, and God counted him as righteous because of his faith’” (Roman 4:1-3, Paul quoted Genesis 15:6). Paul continues: “When people work, their wages are not a gift, but something they have earned. But people are counted as righteous, not because of their work, but because of their faith in God who forgives sinners. David also spoke of this when he described the happiness of those who are declared righteous without working for it: ‘Oh, what joy for those whose disobedience is forgiven, whose sins are put out of sight. Yes, what joy for those whose record the Lord has cleared of sin’” (Romans 4:4-8, quoting Psalm 32:1-2). Paul goes on to explain that it’s this same faith that enables New Testament believers to inherit all of God’s promises, beginning with and made possible by salvation itself. “So the promise is received by faith. It is given as a free gift. And we are all certain to receive it, whether or not we live according to the law of Moses, if we have faith like Abraham’s. For Abraham is the (spiritual) father of all who believe” (Romans 4:16, parenthesis mine). Paul concludes this all-important truth (need) of redemption by once again stating: “And because of Abraham’s faith, God counted him as righteous. And when God counted him as righteous, it wasn’t just for Abraham’s benefit. It was recorded for our benefit, too, assuring us that God will also count us as righteous if we believe in him, the one who raised Jesus our Lord from the dead. He was handed over to die because of our sins, and he was raised to life to make us right with God” (Romans 4:22-25). In another epistle, Paul affirms this vital fact: “…I no longer count on my own righteousness through obeying the law; rather, I become righteous through faith in Christ. For God’s way of making us right with himself depends on faith” (Philippians 3:9). First, let’s not forget that the reason for these differences is because Messiah Jesus fulfilled the purpose of the Mosaic Law by living a completely sinless life. The law could never save anyone, because no one other than Jesus has ever perfectly kept every requirement of the law … not even close. Yet, to be accepted by God, we must be perfectly holy as He is holy. We’ll get to that shortly. Therefore, the only one who could save us was the person who was fully God and fully man, Jesus Christ; who kept both the letter and spirit of the law. All we need do is to believe and receive him as personal Savior. Although both Old & New Testament saints are saved by faith in the Promised Messiah, believers who came after Messiah’s redemptive sacrifice inherited some promissory benefits not yet available to those under the Old Covenant. Before we look at some key passages, we must keep in mind that it was not the ritual sacrifices per se that led to permanent redemption from sin. Rather, it was trust (FAITH) in the Lord that he would keep his promise to forgive and to give them right standing with himself, if remorse for their sins came from a sincere heart. It was entirely a matter of the heart. The offerings served as the required expression of that repentance, one that included shedding of innocent (animal) blood as a foreshadow of the once for all sacrifice of the Promised Messiah. “…For without the shedding of blood, there is no forgiveness” (Hebrews 9:22). Unfortunately, the rituals eventually became a rote exercise for most Jews, who after their offerings went right back to sinning as much or more than before. Not the least (damming) of which was to worship other gods alongside of or in place of the only true and living God of Abraham, Isaac, and Jacob. “The old system under the law of Moses was only a shadow, a dim preview of the good things to come, not the good things themselves. The sacrifices under that system were repeated again and again, year after year, but they were never able to provide perfect cleansing for those who came to worship. If they could have provided perfect cleansing, the sacrifices would have stopped, for the worshippers would have been purified once for all time, and their feelings of guilt would have disappeared” (Hebrews 10:1-2). “But our High Priest offered himself to God as a single sacrifice for sins, good for all time. Then he sat down in the place of honor at God’s right hand” (Hebrews 10:12). 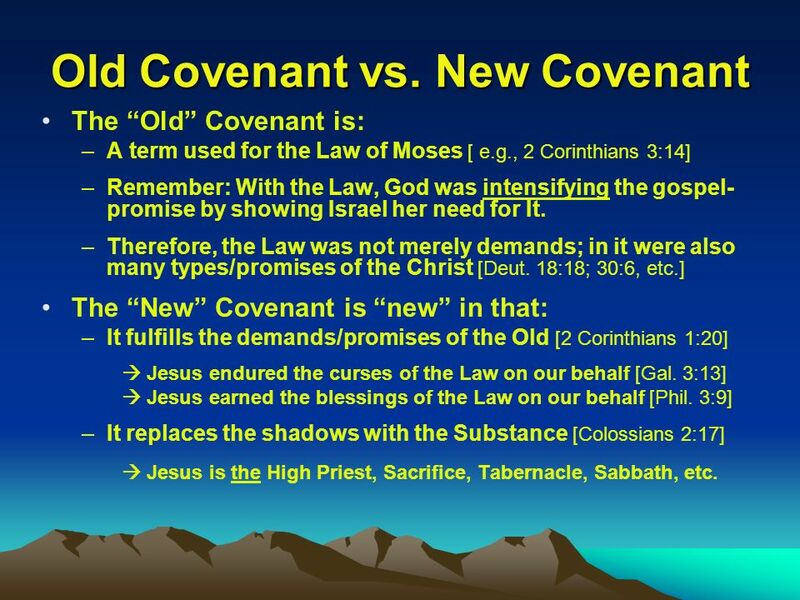 That is the ultimate contrast between the Old and New Covenant, with the author of Hebrews identifying Jesus Christ as both our High Priest and the ultimate sacrifice himself. This first difference dovetails with the next one. “For by that one offering he forever made perfect those who are being made holy. And the Holy Spirit also testifies that this is so. For he says, ‘This is the new covenant I will make with my people on that day, says the Lord: I will put my laws in their hearts, and I will write them on their minds … I will never again remember their sins and lawless deeds.’ And when sins have been forgiven, there is no need to offer any more sacrifices” (Hebrews 10:14-18, italics for emphasis). Explaining the last sentence of the above passage with the same meaning but in a different way: If all our sins (past, present, and future) were not forgiven when we believed in Messiah Jesus’s substitutionary death on the cross, then Christ would need to die again, and again, and…. (See Hebrews 9:24-28). “Forever made perfect” means fully justified (forgiven and pardoned) in God’s eyes, because he now sees believers through the once for all PERFECT finished work (sacrifice) of Jesus Christ on the cross—accepted and validated by God the Father through the resurrection of Messiah Jesus from the dead. In contrast, God, through the author of Hebrews, tells us: “Under the old covenant, the priest stands and ministers before the altar day after day, offering the same sacrifices again and again, which can never take away sins” (Hebrews 10:11). Those sacrifices temporarily “covered” sins but didn’t remove them. Only faith in God and the coming Messiah would make the Israelites and even Old Testament Gentiles perpetually right with God. In the Old Testament there are numerous times in which the Holy Spirit would “come upon” some people to enable them to complete a specific task for the Lord or to announce something special. Whatever the situation, it’s quite evident that without the Holy Spirit’s extraordinary enablement, the individual would not have been able to accomplish a goal or powerfully proclaim God’s plan—whether the purpose was for the immediate situation or for the near and even distant future (many of these Spirit inspired messages were prophecies). In one of the earliest accounts of the Holy Spirit’s empowerment (if not the first), we read about God’s choice of a particular man to build the Tabernacle and Ark of the Covenant. “Then the Lord said to Moses, ‘Look, I have specifically chosen Bezalel, son of Uri, grandson of Hur, of the tribe of Judah. I have filled him with the Spirit of God, giving him great wisdom, ability, and expertise in all kinds of crafts” (Exodus 31:1-3). However, with rare exceptions (even those are more implied than stated) such as King David or some of the prophets, once the assignment was completed or message delivered, the Holy Spirit would no longer fill or come upon the person. An illustrative example is Ezekiel. Although the Holy Spirit came upon or into or lifted him to witness some exceptional visions, by the very fact that Ezekiel mentions the Spirit only in those unique situations tells us that the Holy Spirit wasn’t in or upon Ezekiel at other (all) times. In fact, for most of his ministry, Ezekiel wasn’t even allowed to speak at all, unless he was prophesying. Not so with New Testament believers. At Pentecost (Acts 2), the Holy Spirit was given to 120 believers who were waiting for that very moment. Thereafter, every person who accepts Messiah Jesus as personal Savior is given the awesome privilege of the indwelling Holy Spirit, never to be taken away from us. The Holy Spirit is a guarantee of the permanency of our salvation. Moreover, the New Testament details many things the Holy Spirit does for born-again believers in Messiah Jesus, including but not limited to: Comfort; Counsel; Correction; Confidence; Comprehension of Biblical truths; Supernatural ability to live the Christian life; Producing spiritual fruit—love, joy, peace…; Unity with fellow believers. Perhaps the most profound privilege and blessed benefit of the Holy Spirit’s indwelling presence in every believer is that we have continual access to the presence of God … anytime, anywhere. As opposed to the Old Covenant restrictions in which only the High Priest could enter the Holy of Holies (God’s very presence) once a year. “So Christ has now become the High Priest over all the good things that have come (through the New Covenant). He has entered that greater, more perfect Tabernacle in heaven, which was not made by human hands and is not part of this created world. With his own blood—not the blood of goats and calves—he entered the most Holy Place once for all time and secured our redemption forever” (Hebrews 9:11-12, parenthesis mine). The remarkable result: “And so, dear brothers and sisters, we can boldly enter heaven’s Most Holy Place because of the blood of Jesus. 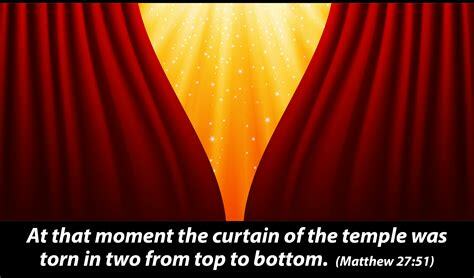 By his death, Jesus opened a new and life-giving way through the curtain into the Most Holy Place. And since we have a great High Priest who rules over God’s house, let us go right into the presence of God with sincere hearts fully trusting him…” (Hebrews 10:19-22). (This literally happened on the Cross the moment that, “Jesus shouted out again, and he released his spirit.” Matthew 24:50). Another precious privilege given to New Testament believers after Jesus arose from the dead is that our spirit goes directly to heaven when we die. “For we know that when this earthly tent we live in is taken down (that is, when we die and leave this earthly body), we will have a house in heaven, an eternal body made for us by God himself, and not by human hands” (II Corinthians 5:1, parenthesis in the text). Paul goes on to say: “So we are always confident, even though we know that as long as we live in these bodies we are not at home with the Lord. For we live by believing and not by seeing. Yes, we are fully confident, and we would rather be away from these earthly bodies, for then we will be at home with the Lord” (Verses 6-8). This passage is often summarily condensed as: Absent from the body, (immediately) present with the Lord. Not so, with Old Testament Saints. There are many Old Testament references to the place of the dead, called Sheol. Though not specifically stated, it’s implicitly evident that those whom God had declared righteous because of their faith in his promises were not in the same part of Sheol as the unrighteous who died in their sins. Which is also Scriptural common sense, e.g. King David would not be in the same place as King Ahab or Queen Jezebel. “Finally, the poor man (Lazarus) died and was carried by the angels to be with Abraham. The rich man also died and was buried, and his soul went to the place of the dead. There, in torment, he saw Abraham in the far distance with Lazarus at his side” (Luke 16:22-23). 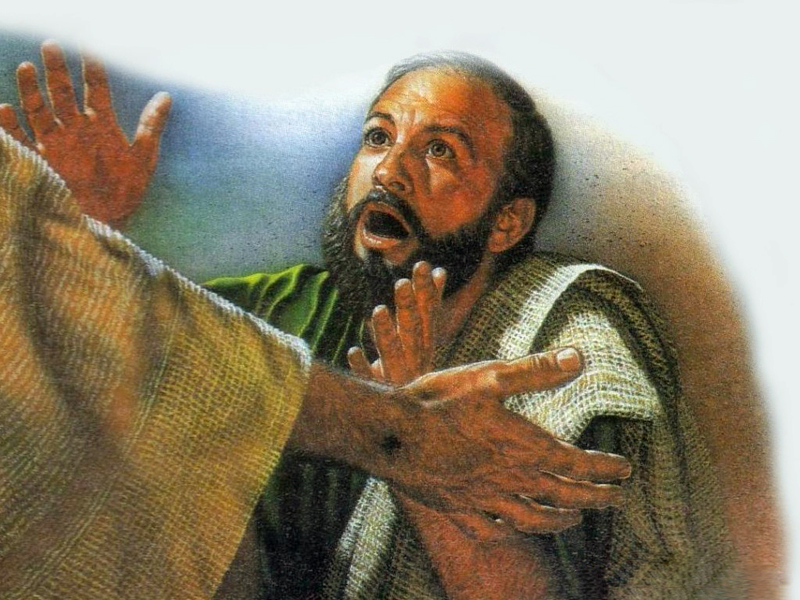 See Eye of Prophecy article, Lazarus and Lazarus & the Sign of Jonah (posted 1-14-17) for a detailed account of this remarkable story that was more than just an illustration. It was a factual account of what happened to Old Covenant believers and unbelievers when they died before Messiah Jesus arose from the dead. Jesus proved beyond any doubt whatsoever, that he was who he said he was: God’s Son, the Messiah. Through the bodily resurrection of Jesus, all Old & New Testament believers will be given the same kind of glorified body as our Lord’s—which will take place at the Rapture. This is possible because Jesus conquered death (both physical and spiritual) and the grave. Without the resurrection of Jesus Christ, his sacrificial death on the cross would have been fatefully futile … accomplishing nothing. Why? Because God would not have accepted even the death of His (innocent) Son as a permanent propitiation for sin—just like the Old Testament sacrifices had to be repeated over and over. Said the Apostle Paul through the inspiration of the Holy Spirit: “And if Christ has not been raised, then your faith is useless and you are still guilty of your sins. In that case, all who have died believing in Christ are lost!” (I Corinthians 15:17-18). In keeping with the main emphasis of this week’s article, when Jesus arose from the dead, he also bridged the gap between Old Testament and New Testament Saints. He eliminated the primary difference between the two—where the spirits (souls) of both groups of believers reside until all believers are given everlasting heavenly bodies. Let’s examine this fascinating feature of Messiah’s resurrection in more detail. It’s movingly described in the last two verses of one of the most well-known chapters in the Bible … Hebrews 11. 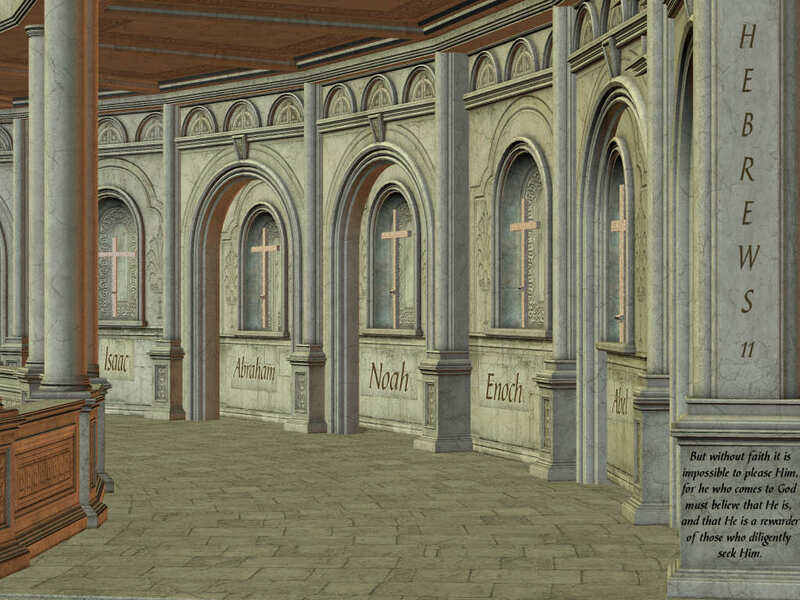 What many call, the Hall of Faith. Hebrews Chapter 11 names well over a dozen Old Testament believers whose faith had saved them, whose faith the Lord honored by doing mighty things through them. Whose trust in the Lord included belief in a resurrection from the dead. “…They placed their hope in a better life after the resurrection” (Verse 35). “All these people earned a good reputation because of their faith, yet none of them received all that God had promised. For God had something better in mind for us, so that they would not reach perfection without us” (Hebrews 11:39-40, italics for emphasis). In the next chapter: “…You (New Testament Saints) have come to the spirits of the righteous ones in heaven who have now been made perfect. You have come to Jesus, the one who mediates the new covenant between God and people…” (Hebrews 12:23-24, italics for emphasis, parenthesis mine). In the Old Testament, we find only two men who were taken (directly) to heaven, both without dying—Enoch and Elijah. (*Note: Although not strictly stated in Scripture; so, too, was Moses taken bodily to heaven (but after dying) based on a correlation of Old Testament and New Testament passages. See Eye of Prophecy trilogy of articles, The Two Witnesses, posted 6-7, 6-14, 6-21-14. As we have seen, the soul/spirit of all the others (whose faith had been credited to them as righteousness) went to be with Abraham in a special protected place of Sheol. Hebrews is telling us that Old Testament believers who had already died and New Testament believers (when they died) would equally (no more differences) “reach perfection” in the same manner … when Jesus arose from the dead. This perfection means culmination of salvation and rest in heaven (free from what makes us imperfect) until our spirit is reunited with our new everlasting body equipped to live as a spiritual body, but a body nonetheless (I Corinthians 15). Which is exactly what happened when Jesus died on the cross and then arose from the dead! This spectacular scene (Old Testament saints being led out of Sheol) was even predicted by King David: “When you (the Messiah) ascended to the heights (of heaven … resurrection followed by ascension of Jesus), you led a crowd of captives…” (Psalm 68:18, parenthesis mine). 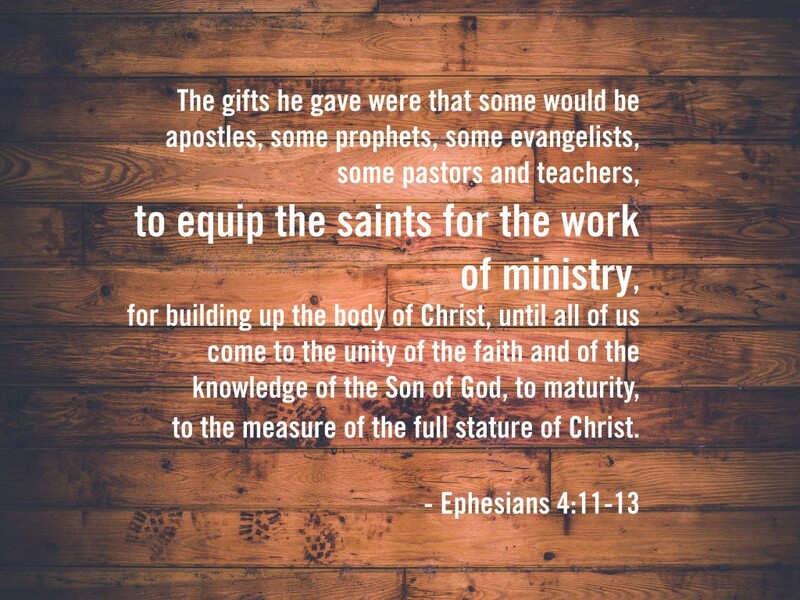 This astounding prophecy is quoted and expounded by the Apostle Paul: “That is why the Scriptures say, ‘When he ascended to the heights, he led a crowd of captives and gave gifts to his people” (Ephesians 4:8). However, Paul takes the opportunity to further explain what happened when Jesus died and rose again. What is the lower parts of the earth? The Apostle Peter partially answers that by conveying one of the two things Jesus did after he died and descended to the underworld … Sheol (Hades). Said Peter, “So he went and preached to the spirits in prison—those who disobeyed God long ago when God waited patiently while Noah was building his boat…” (I Peter 3:19-20). The prison referenced is both the Abyss (where especially wicked angels were incarcerated; see Genesis 6; II Peter 2; and the book of Jude) as well as the other region of Sheol where the spirits of the unsaved were kept … across the great chasm from Abraham’s sanctuary. The second purpose for Jesus descending to the lower parts of the earth was to lead the captives out. Who are the captives? A better question would be: Who else could the captives be? They are none other than all Old Testament departed saints whose spirits were with Abraham, including Abraham himself. “Before the way of faith in Christ was available to us, we were placed under guard by the law. We were kept in protective custody, so to speak, until the way of faith was revealed” (Galatians 3:23). In the same way, departed Old Testament saints were held captive (in protective custody) until the appointed time for their spectacular change-of-residence release. That time was none other than the death, burial, and resurrection of Jesus. Either when Jesus arose from the dead or when he ascended back to heaven 40 days later, the soul/spirit of Old Testament saints were taken to heaven. This to provide the same prized privilege (one in Messiah) afforded to all subsequent New Testament believers who died after Jesus arose from the dead. Which gives even more meaning to the words of Jesus, spoken both before and after he came to earth as the Messiah: “He has sent me to comfort the brokenhearted and to proclaim that captives will be released and prisoners (of sin) will be freed” (Isaiah 61:1, italics for emphasis, parenthesis mine). In fact, some of these Old Testament believers were raised bodily as a pre-Rapture preview of the efficacy of Jesus’s atoning sacrifice to all to believe in Him and of the awesome power of his resurrection. “…The bodies of many godly men and woman who had died were raised from the dead. They left the cemetery after Jesus’ resurrection, went into the holy city of Jerusalem, and appeared to many people” (Matthew 27:52-53). Such a great crowd of witnesses who came before us—godly prophets, priests, scribes, kings, and ordinary people who paved the way for the greatest hope of mankind … Messiah Jesus. Although they knew about the coming Messiah, not all understood that he would be the Son of God, or from where he would come, or how (Virgin Birth) and where he would be born, or all the things he would do. But as great as many Old Testament saints were, the very least of New Testament saints are greater. Not greatness as defined by the world. Rather, greater because at the moment of our redemptive rebirth in Jesus, we have privileges not fully realized by our Old Testament founding mothers and fathers in the faith. “But blessed are your eyes, because they see; and your ears because they hear. I tell you the truth, many prophets and righteous people longed to see what you see, but they didn’t see it. And they longed to hear what you hear, but they didn’t hear it” (Matthew 13:16-17). Jesus was speaking to his disciples who saw, heard, and believed (in) him. Although after Jesus was crucified, it took awhile before they fully realized that Jesus had risen from the dead … especially Thomas. Exclaimed Thomas when he first saw the risen Jesus: “My Lord and my God!” (John 20:28). “Then Jesus told him, ‘You believe because you have seen me. Blessed are those who believe without seeing me'” (Verse 29). If you don’t know Jesus as your personal Savior and Lord: Are you looking and listening? Do you see? Do you hear? Do you believe? God loves you. He wants you to be with him in heaven forever.